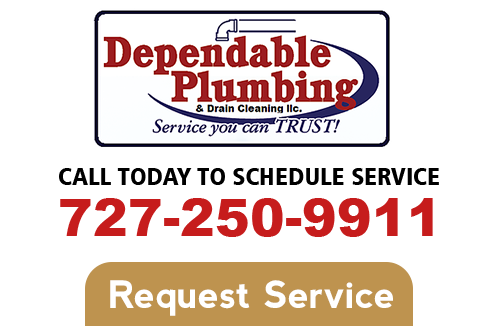 With a name like Dependable Plumbing & Drain Cleaning, you can't help but feel confident that you are getting the finest in Tampa plumber services. As a locally owned and operated plumbing company, we take great pride in being able to provide our local customers with the best in workmanship and customer service. Operated by a third generation Master Plumber, it is safe to say that we are passionate about this field, which includes also being passionate about offering the best in customer service. You will also feel good about our rapid response time which means you won't be waiting for us to show up and expertly take care of your plumbing service needs. When you have a need for emergency plumbing repairs in Tampa, FL or the surrounding areas, the last thing that you want to do is wait for someone to come and take care of the problem for you. You get the best in work for the best in low pricing so that you can get everything taken care of that you need. When you work with any one of our licensed plumber in Tampa, you can expect the same level of skill, expertise and superior quality results. You can feel good knowing that our trucks are fully stocked so that we can address most jobs and plumbing repair needs on the first trip. We will come to you to provide you with a free estimate, without a trip charge! From plumbing repairs to clogged drains and anything in between, we can take care of this for you. Get in touch with us right now and let us provide you with the quality workmanship you need to get your plumbing problems fixed up – the first time around. There may be plenty of choices available to you, when it comes to finding a Tampa plumber to work with. Yet there are also plenty of reasons why Dependable Plumbing & Drain Cleaning is the right choice. We only work with licensed, bonded and insured Tampa plumbers and use the best in cutting-edge technology to take care of your drain cleaning in Tampa and plumbing service needs. We also provide you with up-front pricing during a free estimate, without any hidden costs like trip charges. Plus, it helps that we are committed to the well-being of our customers. As a locally owned and operated Tampa plumbing services company, our customers are also our friends, neighbors and fellow community members. By taking care of them we keep them happy, as well as earn repeat and referral business as a result. Don't take chances when it comes to the quality of work that goes into your residential or commercial plumbing in Tampa or the surrounding areas. In the state of Florida, a plumbing company owner can have as many as 20 unlicensed employees which means you could be taking a serious gamble when it comes to the quality of work that goes into your plumber related service needs. Make the smart choice and call on Dependable Plumbing & Drain Cleaning so that you can be rest assured that the work you get is only carried out by professional, licensed Tampa plumbers. We take great pride in all the work we do and now we look forward to showing you all that we can do for you. Looking for Tampa Plumbing Solutions? No job is too big nor too small and we cover a aide assortment of professional Tampa plumbing services so that you can get whatever it is that you need addressed. From basic residential water heater installation to major commercial plumbing replacements, we will be there for you. This includes taking care of quality control with state-of-the-art technologies like video inspection. We take the guess work and the gamble out of plumbing repairs and drain cleaning in Tampa, FL and the surrounding areas, for both residential and commercial clients. Get in touch with us today and let us take care of whatever service it is that you may need completed. If you are looking for an expert Tampa plumber, then please call Dependable Plumbing at 813-335-7766 or complete our online request form.